During the holiday season with family and friends coming to your home for family get-togethers and holiday parties, the holiday season can be a lot of fun for everyone but your carpets. With so many people in and out of your house, you can have a reasonable expectation that your carpets are going to come out of the holiday season the worse for wear. From the normal dirt that gets tracked into the house to food and drinks that get spilled, stains are all but a guarantee. Some things you can do to prepare your carpets for the holiday season include putting down mats both outside your front door and inside. A rough mat on the outside will knock away most of the dirt and debris that can get tracked in, and a second, more absorbent mat on the inside will get the last of the dirt and debris as well as any moisture. Carpet runners in high traffic areas can also help to protect your carpets. Thorough and regular vacuuming both before and after parties, and a quick response to any spills will undo much of the damage that might occur to your carpets when you have parties and guests. 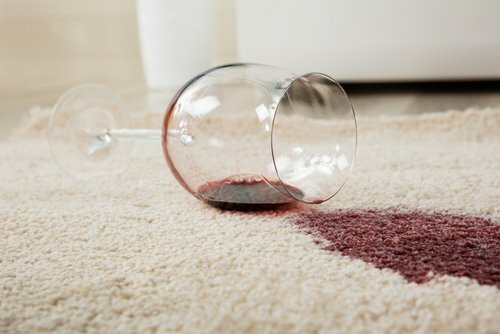 Before a party, especially a crowded party where there will be food and drink, be sure to check to make sure you have carpet stain remover on hand. If you know for sure that one of your guests is particularly clumsy, it might be a good idea to only serve white wines. And when the holiday season is over and the party guests have sung Auld Lang Syne, it is a good idea to have professional cleaners come in and give your carpets a thorough cleaning. This will ensure that the stains and damage done during parties and family get-togethers are not a constant reminder of all the fun you had during the holiday season.